The final patch is now up and running! I think almost all of the issues and palettes have been restored, including the 3D objects and the missing gradients thanks to mangaman3000! Feel free to drop reviews or whatever it is you want to drop in there. Suggestions and feedback is very welcome! Congratulations on finishing your patch, it looks pretty good Could you make a patch for the European version as well? It has more languages, so more people would play it. I don't know how much the PAL release of the game varies from the USA one. You can try patching the USA IPS over the PAL ROM just for giggles. But if it is very different then it might require another palette hack from scratch. Although, you can always just copy-paste the portions of the palettes with HEX or even open up two APE programs, one for each ROM, and paste the palette from the USA Patched ROM to the PAL one. From my brief experience the (e) and (u) roms a practicality identical apart from the language sections of course. You just have to figure out the new offsets. I don't mind doing it, if you pm me the palette locations ill be able to get it done pretty quickly rather than finding your changes myself. Should be a 10min job. Mmm that will be a hard one. Although, I do have some of them along with the addresses in which some palettes start, from there it is simply continuing from the first offset all the way until you see that the colours do not match anymore. That's what I did for most of the palettes, then playtested some levels to see which palettes were still missing. I posted some of the general offsets at the very end of the opening post. *Thanks to Chaos Rush for those offsets. This combined with the voice removal patch is awesome . Will you do SMA4 next? 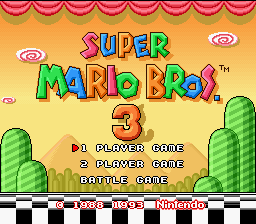 That said, SMA2/3/4 could benefit from a title screen edit to restore the much superior Japanese one. Granted the colors weren't as ruined as SMA1-3, but they were still brightened nonetheless. Yeah, I was gonna say. 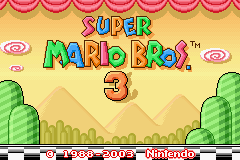 The GBA version of 3 isn't as horribly washed-out as 2, World, or Yoshi's Island, but it's still a bit faded looking from what it should be (notice how Peach's hair lost almost all of its detail). Well, personally, the SMA4 palette didn't bother me at all. I played the entirety of it in VBAGX and I actually liked the tad more vibrant palette. If I were to do another restoration, it might be ALttP GBA, but don't count on me doing it soon since I still have my EB Spanish translation waiting to be debugged to fix a lot of text overflow. Also, seeing just how much work I put into it, and how things can be hidden in such odd ways like the 3D objects and some gradients, (which they were not actually gradients but rather just TWO colours next to each other, one being the most lighter colour and the other the most dark one of the gradient, then the game sort of like distributes the colours in between to make the arrangement) I might want some help to diminish the amount of work. 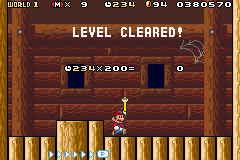 It's not hard, just really tedious to go through ALL the palettes for EACH level. So if anyone is interested in helping me out or asking me about how to start a colour restoration, feel free to ask. The (E) patch is done, I'll pm it to you now. The rom was a lot more jumbled up than I first thought but I got there in the end. I edited the language selection screen palette to match the rest of the dialogue boxes in your patch. In regards to how the gradients were stored: I may not have much experience in hacking but I have a lot in game dev. Gradients are generally done like this, when making a game you have to consider that if you want to adjust something later on you don't want to have to change too much so you would have the game generate it for you from as little data as possible. I'm really enjoying putting my game dev knowledge into figuring these hacks out. I think it's basically as complete as it can be, barring the remaining issues discussed in this topic that can't really be helped. It's cool to see this is finally done, nice work ShadowOne333! I'll stick with the SNES version myself after witnessing all the issues in the GBA port that likely can't be fixed, but for GBA fans this should do nicely alongside the sound effect hack. Link to the Past GBA's palettes weren't actually too bad at the darkest setting. There are still inconsistencies but it's not the most offensive port visually. At least a brightness setting was included, and it might even make work fixing it easier. Some dark areas suffered a lot though, particularly the beginning scenes (inside Uncle's home before the lights come on as well as outside in the storm). Darker areas of dungeons were also too bright. 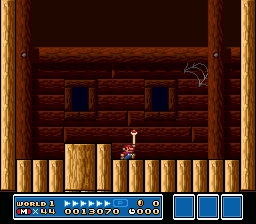 I wonder if these can actually be fixed, Yoshi's Island had similar dark areas that couldn't. BoF2 GBA has a palette hack which is still available, though I don't really bother ever since the fantastic SNES retranslation was released. Some of Capcom's titles following the GBA's launch began to include brightness options to mostly get them looking like their originally did. Earlier games however are overly bright with no way to darken them. Disney's The Magical Quest was a good example that might be worth looking at. Super Ghouls and Ghosts also suffered a palette brightening, but good luck trying to play through such a difficult game to ensure everything looks right lol! Megaman and Bass however actually looks pretty comparable to the SNES version from what I can tell. And the two Magical Quest sequels had options to darken the visuals. There is an ongoing translation project for Mother 2 GBA, seemingly with some good progress being made (48% as of the most recent August update on their facebook page). So taking a look at its palette could be worth it. Though the game also desperately needs a sound restoration as well (seemingly not many people know how to do this other than Bregalad). Though I do think it could be restored to its original SNES glory with some work. It doesn't seem to have many (if any) downgrades outside of the palette and sound (which could be fixed). As far as palette restoration goes, yes it is! I forgot about A Link To The Past brightness setting. I will take a look at it to see if any of those settings restores the official palette or something close to it. Might save me some work. Will also check Mother 2 side of Mother 1+2. I know Mother 1 already had a palette restoration done, so I would gladly tackle Mother 2! If someone could just help out with the sound restoration, that would be the best for that little package. LTTP's brightness setting doesn't completely restore the palette, but it certainly gets it immensely closer to the SNES version than most other GBA ports. There are again some dark areas that may be trouble to correct.